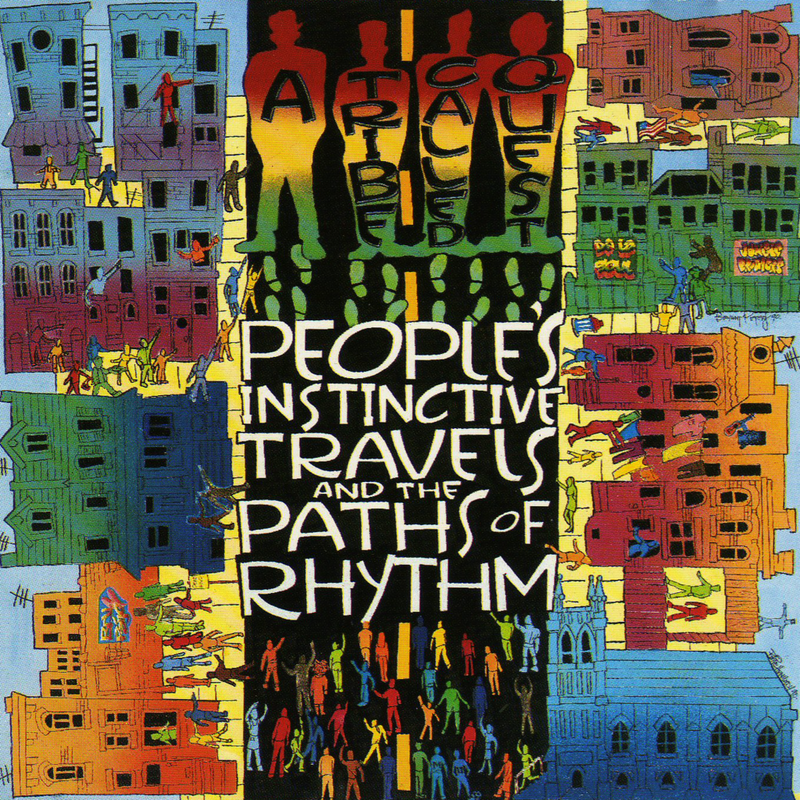 People's Instinctive Travels and the Paths of Rhythm este albumul de debut al trupei A Tribe Called Quest și a fost lansat în data de 10 aprilie 1990, prin Jive Records. All tracks written and produced by A Tribe Called Quest. Credits from album liner notes. "Push it Along" contains a sample from "Loran's Dance", as performed by Grover Washington Jr..
"Luck of Lucien" contains a sample from "Forty Days", as performed by Billy Brooks. "Footprints" contains samples from "Sir Duke", as performed by Stevie Wonder and "Think Twice", as performed by Donald Byrd. "I Left My Wallet in El Segundo" contains a sample from "Let's Get Funky", as performed by The Chambers Brothers. "Bonita Applebum" contains samples from "Daylight", as performed by RAMP and "Memory Band" and "Soul Virgo", as performed by Cannonball Adderley. "Can I Kick It?" contains samples from "Spinning Wheel", as performed by Lonnie Smith and "Walk on the Wild Side", as performed by Lou Reed. "Mr. Muhammad" contains a sample from "Brazillian Rhyme", as performed by Earth, Wind & Fire. "Ham 'n' Eggs" contains a sample from "Nappy Dugout", as performed by Funkadelic. "Description of a Fool" contains a sample from "Running Away", as performed by Roy Ayers.